The Orianne Society has partnered with the University of Georgia to collaborate on conservation efforts for imperiled reptiles, amphibians and their habitats. We are now working with researchers from UGA’s Warnell School of Forestry and Natural Resources on several projects that focus on the conservation of reptiles and amphibians and their habitats. Mike Clutter, dean of the Warnell School, said that by combining resources, UGA and the Orianne Society are able to collaborate more effectively on a global conservation initiative. “We both have a serious and sincere interest in the conservation of these species,” he said. The Orianne Society has a long history of working with a diverse number of interdisciplinary partners to develop and implement efforts to restore jeopardized herpetological species. The new collaboration with the Warnell School will allow the Orianne Society to build a stronger affiliation with researchers across UGA, Clutter said. Often overlooked in conservation policies, reptiles and amphibians are vital to biodiversity on Earth as they help maintain the sensitive ecological balance within their ecosystems. They also play an important role in pest control, and the venom of some of these species may be used to treat diseases such as cancer and diabetes. However, many reptile and amphibian populations are declining due to habitat loss and degradation, disease and deliberate persecution. Researchers from Warnell and the Orianne Society have collaborated on several projects, and a UGA undergraduate student is currently conducting one of the first ecological studies of Timber Rattlesnakes in the Piedmont region, a species declining rapidly throughout its range. Members of the Orianne Society recently traveled to UGA’s Costa Rica campus to discuss potential international program partnerships, including the organization’s work with Black-headed Bushmasters. In addition to the Warnell School, the Orianne Society is working with UGA’s College of Veterinary Medicine on projects requiring surgeries, such as transmitter implants, and the organization also submitted the first case of snake fungal disease to UGA’s Southeastern Cooperative Wildlife Disease Study, or SCWDS, unit. The Orianne Society has established offices at White Hall Mansion, located in the 840-acre Whitehall Forest managed by the Warnell School for research purposes. The Orianne Society is an international nonprofit organization dedicated to the conservation of imperiled reptiles and amphibians around the world. 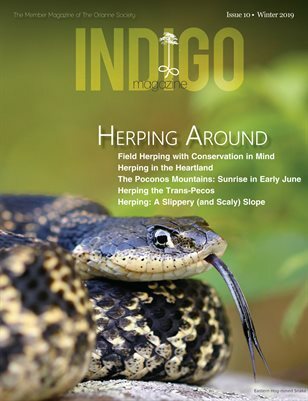 The organization’s efforts began with the restoration and conservation of the Eastern Indigo Snake, the longest native snake species in the U.S. The Orianne Society has expanded its focus to work with a diverse group of partners to help guide conservation efforts for reptiles and amphibians and their habitats. For more information, see www.oriannesociety.org. The Warnell School of Forestry and Natural Resources at UGA is the oldest existing forestry school in the South. The Warnell School’s educational and outreach programs focus on the conservation and management of Earth’s natural resources, including forests, fisheries, wildlife and water sources. The school emphasizes the importance of balanced management of ecosystems throughout Georgia and the world. For more information, see www.warnell.uga.edu.